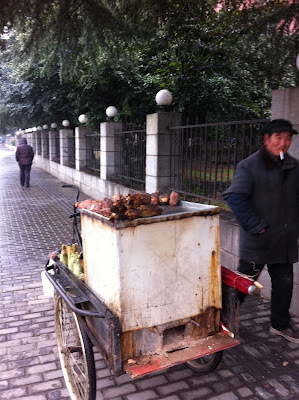 From cotton candy, spicy tofu, sweet potatoes and other things I can't identify, you can usually eat on the cheap without going too far. 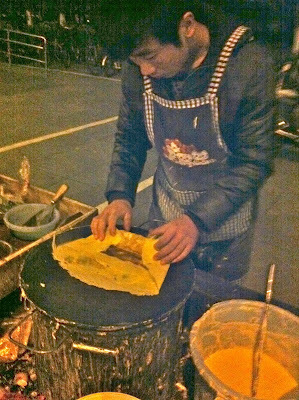 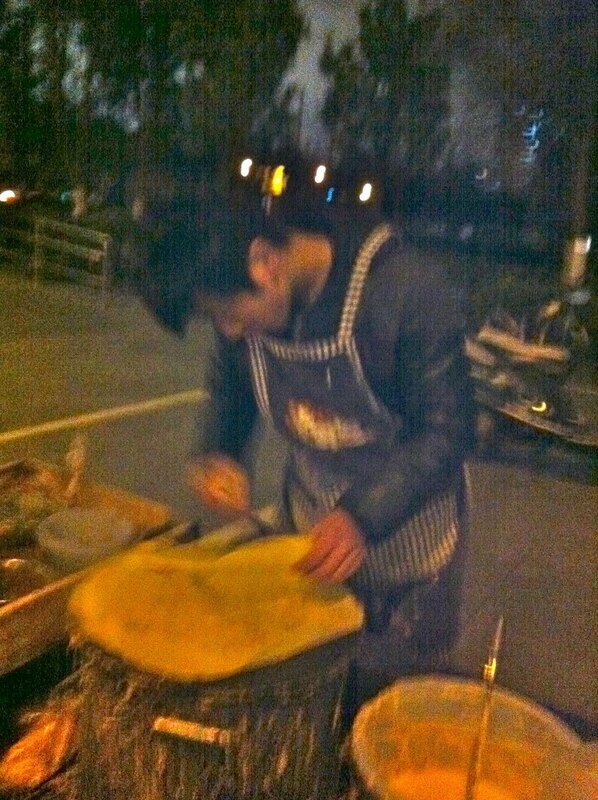 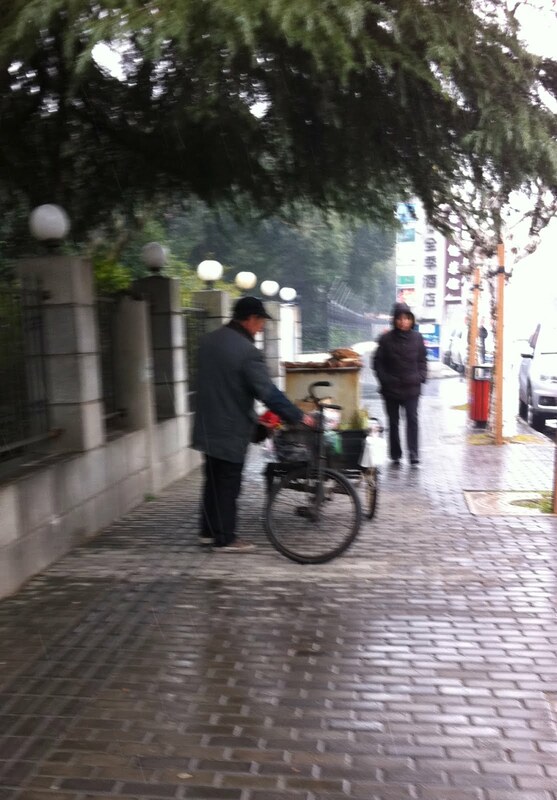 Right outside the metro station on Middle Yanggao Lu, there is one little snack that I really enjoy. 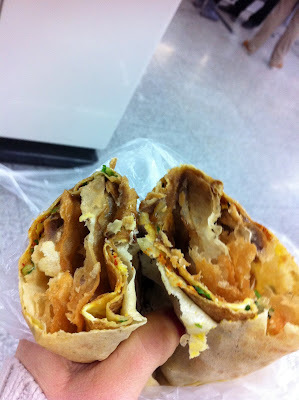 I have no idea what it is called, but it is a mixture of an egg-lined flat pancake/crepe with crunchy crackers and spicy chinese veggies inside. 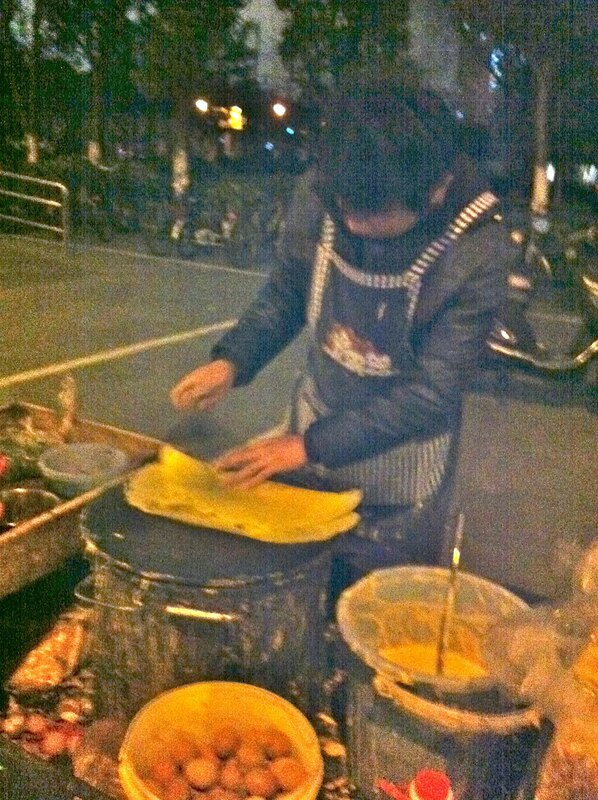 First, the batter from a big bowl (that's probably been sitting on the street for awhile.. gives it that "Shanghai" flavor). 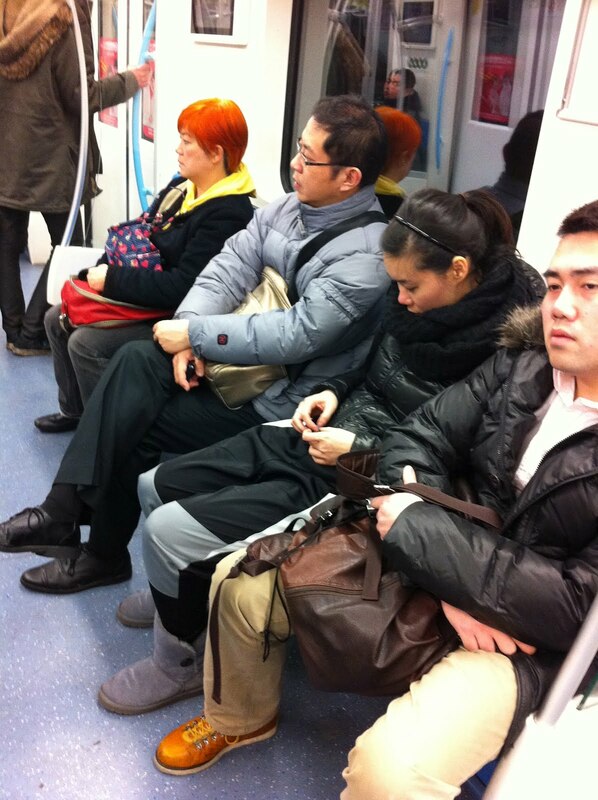 It's always funny to see the accidental Chinese hipsters on the metro, like this lady with orange hair! But I'm sure the Chinese think it's strange to see us (the foreigners) on the metro, too. As in the case of the woman that quickly snapped this same picture of Joy and I, with her own personal camera, while her friend took one with mine. The Chinese seem to love random pictures. 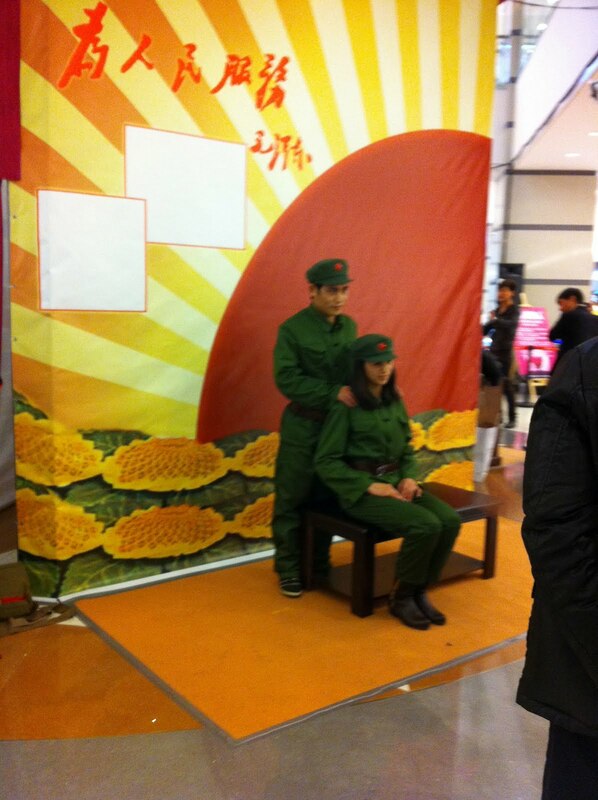 Like this couple who dressed in Mao costumes in the middle of the mall.